My name is Wendy Teresa Adhiambo, aged 23 years old. I am a Kenyan by birth. I have experienced a lot with Rafiki Africa since I joined LightHouse Academy in 2004, in grade 4. Rafiki has taught me a lot and I have achieved some skills through Rafiki, like library skills; in 2013 I was a librarian for LightHouse Academy. I’ve also gained teaching skills. I was teaching the lower primary (Grades 1-3) at LightHouse Academy which helped me acquire skills in handling small children. I also helped with mentoring the high school students for a time. Through Rafiki I have managed to achieve my certificate in the course of Diploma in Land Surveying at Kenya Institute of Surveying and Mapping in Nairobi. Rafiki has provided me with the necessary equipment, like school fees and upkeep fees. This enabled me to study in college very well and I also did my final exams with no problem. Now I am on my first job at the Civicon East Africa Company in Mombasa. 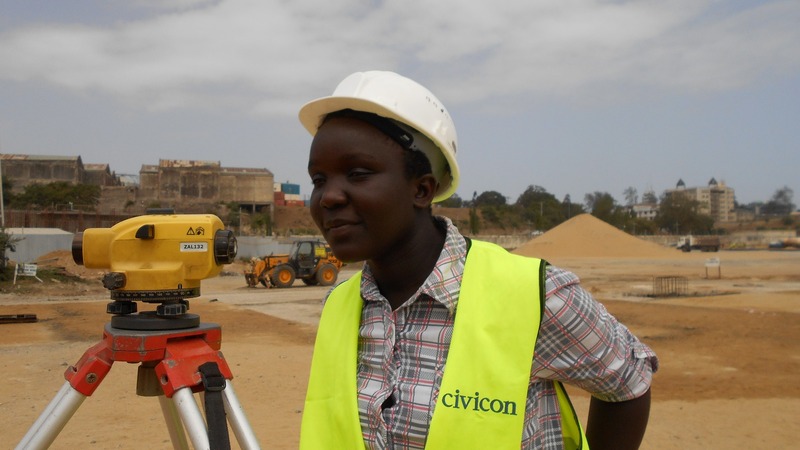 Civicon East Africa is an engineering company that deals with civil engineering work and mechnical work. For now, we are doing construction at the port in which I am gaining different skills in land surveying, like leveling, setting out and calculation of volume of earth works. I am planning to go for my further studies, that is, a degree in Geomatics and Geospatrial Information (GIS) because diploma alone is not enough course; the world has become so competitive in the education section. I also hope to give a helping hand to the needy children, supporting them through their education, and to get a well paying job in the future. Click here to learn more about sponsorship through Rafiki.